Correlations – Who Controls The Markets? In times with low volume flows and directional trends that continue, we often see that the correlations of the Index to individual stocks rise. In other words, there is more focus on the index itself than on stock picking. Sometimes this is because there is a preference to hedge out risk via futures or ETFs. Other times it is because there is the thought that there is no advantage in being in one stock over the other. Each day, various brokers come out with end of day “desk color” that provides a glimpse into who is buying and who is selling. When there is a trend that futures and ETFs are leading the charge, there may be a continuation of a trend. This is because the movement in or out of the index will essentially cause all stocks in the index to move together. 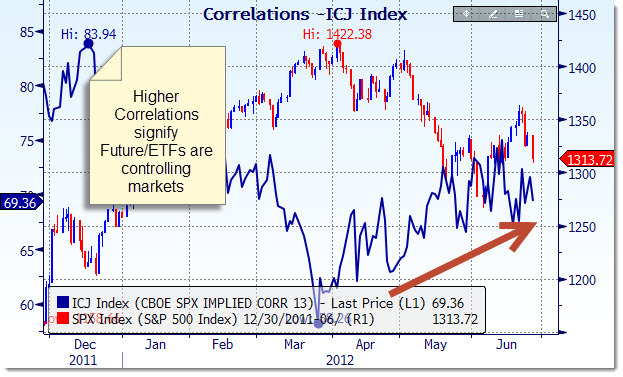 In the recent market move to the downside, correlations are rising. 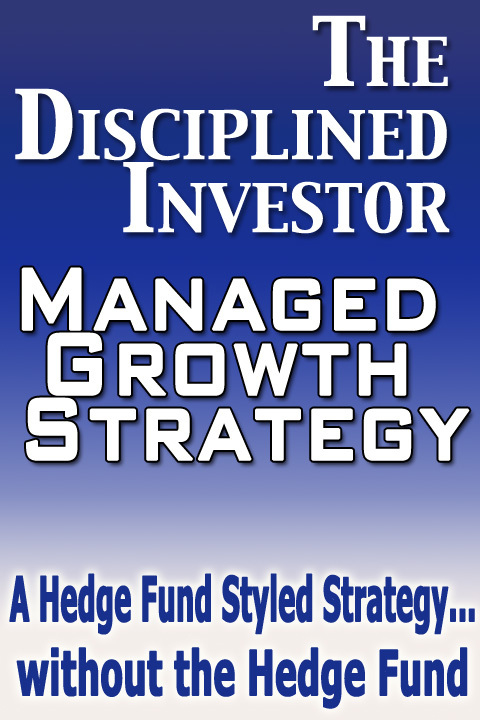 This is what we would expect to see as hedging and then selling continue. Just an observation, nothing to really get too worked up about at this point.